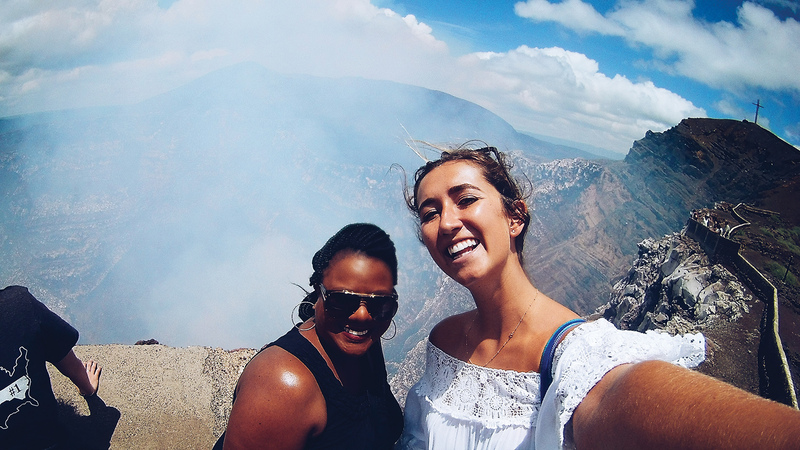 “Being able to visit the world’s top growing global economies in one experience was an unexpected treat,” said Christina Cockey (MBA ’19). She and 16 fellow MBA students traveled to India and China as part of a global immersion course that visited both countries for the first time. In the past, students had to choose between visiting either India or China for the Asia Global Immersion Course. A third course takes students to Nicaragua. The experience began with a welcome dinner at the home of Anil Rai Gupta (MBA ’92), chairman and managing director of Havells India, one of the fastest-growing electrical goods companies in India. Then it was on to the third annual IBM case competition in conjunction with the Birla Institute of Management and Technology (BIMTECH). Instead of pitting the business schools against each other, the competition creates blended teams who begin their strategic solutions half a world apart. There were six teams and two cases provided by IBM India. One of the cases was about blockchain technology and whether it is a secure alternative for financial institutions, and the second was about the digital revolution and its impact on society. “It was a significant challenge because all your preparation takes place before you set foot in the host country. This puts you in a position where you are trying to understand the work and the cultural differences before you have any significant exposure to operating in that environment,” said Matt Phelps (MBA ’18). The teams met in person for the first time when the Wake Forest students arrived at the Delhi campus, just a few hours before presentations began. A panel of judges selected a winning team for each case, and winners were announced at an awards dinner. While in India, the Wake Forest students also visited businesses and organizations in Delhi, Agra, and Jaipur as well as cultural sites like the Taj Mahal and Agra Fort. From Delhi, the students flew to Shanghai for the second leg of their journey. There, they visited businesses and organizations, along with cultural and historic sites including Tiananmen Square, the Great Wall of China, and the Forbidden City. Shanghai was also the location for the School’s first All-China Alumni and Student Day, featuring School of Business alumni Jun Tu (MBA ’94), chief financial officer of IHG, Greater China as guest speaker. 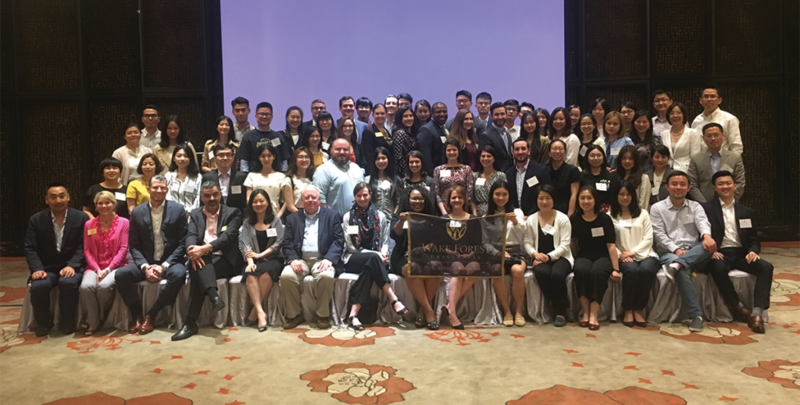 Approximately 75 alumni, students, incoming students, and parents met at the Intercontinental Shanghai Jing’an hotel for a day of events. The itinerary included a luncheon, a visit to Starbucks Roastery — the world’s largest Starbucks — and a cocktail reception followed by dinner with Dean Charles Iacovou and Executive Director of Alumni Engagement Stacy Owen. The Shanghai visit also featured part two of the case competition. Wake Forest students from the top two winning teams went head-to-head before an audience of alumni and judges. After dinner, the results were announced. Christina Cockey, Matt Phelps, and Spencer Tuttle earned the $3,000 top prize, and Kate Calder (MBA ’18) and Celia Flores (MBA ’18) took home $2,000, sponsored by the School’s Center for Retail Innovation. Developing a new cultural awareness was a key highlight for many of the students, but connections of a different sort also had an impact. Twice a year, Wake Forest University MBA students travel to Nicaragua to visit micro-enterprises and learn about their operations, opportunities, and challenges. They then deliver a workshop, teaching business concepts in areas such as marketing, human resources, operations, and finance to these local business owners. Amy Wallis, director of global initiatives, continually seeks opportunities to enhance the experience for MBA students. “This year’s trip was different because we took an undergraduate student along,” said Wallis.  Katie Dickens, an undergraduate in the School of Business concentrating in marketing and minoring in Spanish, was selected to support Wallis as a student assistant. Dickens worked with Wallis throughout the year to organize the trips and update the course materials and presentations. While in Nicaragua, Dickens was assigned to support one of the two MBA teams working with the micro-enterprises and teaching workshops. She made such an impression that the MBA students invited her to become part of their presentation team. Dickens found herself leading some of the business visits, interviewing entrepreneurs, and delivering a portion of the workshops. For Dickens, the experience made an indelible impact on her. “I felt very humbled. I’m an undergraduate student. I’ve never run my own business and some of these businesses are family businesses that have been in operation for generations. They are asking me for advice and I’m actually able to help them and offer suggestions. That was very special,” she said.